This is Archive Page 32 | Close this window/tab to return to the News Archive Menu. Newsletter Published - Annual Dinner Booking Advised! 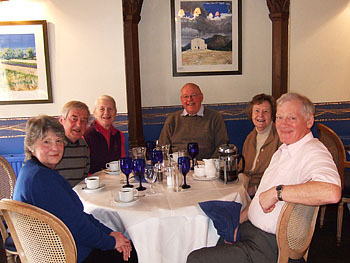 The 2012 Newsletter has been published and e-mailed to members. You can read and download a copy from the Library page. In the Newsletter you will find a booking form for the Annual Dinner which takes places on 17th March. Please book early because the School Office which handles bookings has a Half Term break soon. Speaker at the Annual Dinner is Commander Mark Leaning. Briggensian John Osborne has been performing and publishing his poetry and other writing since leaving the Brigg Sixth Form for the University of East Anglia, and has become increasingly well-known, appreciated and award-laden as a member of the poetry collective Aisle 16 and the author of two books published by Simon & Schuster, Radio Head (2009) and The Newsagent's Window (2010). 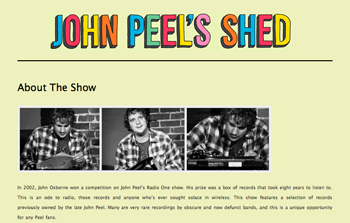 His one-man show, John Peel's Shed first presented in Brighton and premiered in its final form at the 2011 Edinburgh Festival, was a highly praised sell-out. It is based upon his experience of winning a competition on John Peel's Radio One show for which the prize was a box of records - that took eight years to listen to. A radio show based upon it was broadcast on Radio 4 on 21st December 2011 and was Pick Of The Day in Radio Times, The Guardian, The Telegraph and Time Out. 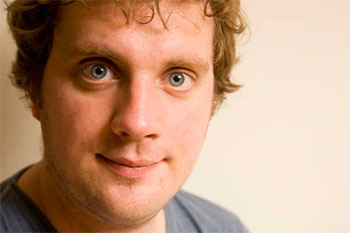 A six-week national tour of John's one-man show starts at Hull Truck Theatre on 1st February 2012. If you're quick, you can still listen to the radio version on BBC iPlayer. Apparently tickets for the stage tour are selling fast, so don't delay - get them booked. By the way, if you don't make it to Hull you can catch John at Lincoln Drill Hall on 7th and 8th February. Meanwhile, clicking on the image on the right will take you to the web site for the show, and John's blog page is here. Adam writes that he would be very grateful for any donation whatever the amount. Good luck, Adam!